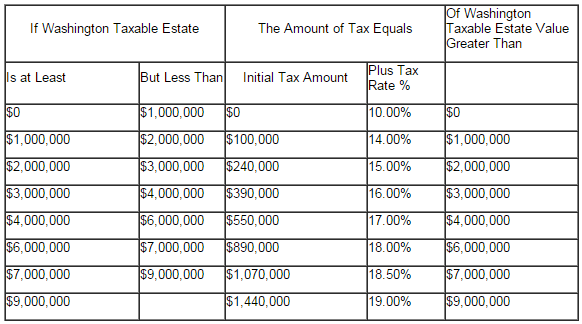 The Estate Tax is a tax on your right to transfer property at your death. It consists of an accounting of everything you own or have certain interests in at the date of death (Refer to Form 706 (PDF)). The fair market value of these items is used, not necessarily what you paid for them or what their values were when you acquired them. The total of all of these items is your “Gross Estate.” The includible property may consist of cash and securities, real estate, insurance, trusts, annuities, business interests and other assets. Most relatively simple estates (cash, publicly traded securities, small amounts of other easily valued assets, and no special deductions or elections, or jointly held property) do not require the filing of an estate tax return. A filing is required for estates with combined gross assets and prior taxable gifts exceeding $1,500,000 in 2004 – 2005; $2,000,000 in 2006 – 2008; $3,500,000 for decedents dying in 2009; and $5,000,000 or more for decedent’s dying in 2010 and 2011 (note: there are special rules for decedents dying in 2010); $5,120,000 in 2012, $5,250,000 in 2013, $5,340,000 in 2014 and $5,430,000 in 2015. If you have questions or would like further legal advice concerning Washington estate tax, please contact a PS probate lawyer today!